Targeted formula immediately fills in deep wrinkles and helps improve their appearance over time. Deep wrinkles appear to be visibly plumped. Deep wrinkles are targeted by retinol. Won’t flake or ball up. Dries to an invisible finish. *Results reflect bioinstrumentation measurement of wrinkle severity after an eight-week independent clinical study in which 31 women used the product morning and night. Wrinkle severity is defined as the visible length, width and number of deep wrinkles. **Results based on assessment of improvement by an independent skin measurement expert after an eight-week independent clinical study in which 45 women used the product morning and night. Worried about deep wrinkles? Not anymore. 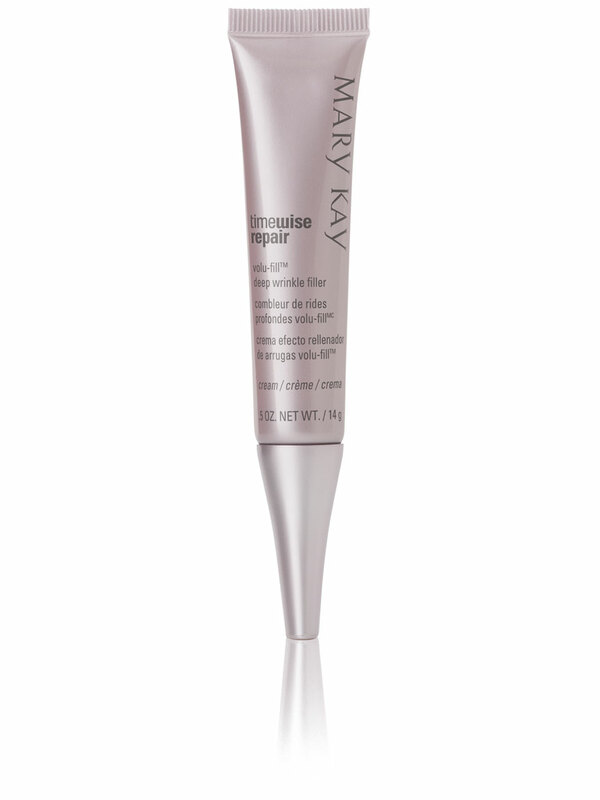 TimeWise Repair® Volu-Fill® Deep Wrinkle Filler is formulated to fill in and visibly plump the appearance of problem areas wherever facial expressions have left their mark – on your forehead, around your lips and eyes, even those hard-to-treat frown lines between your brows or those smile lines that can frame your mouth from nose to chin. 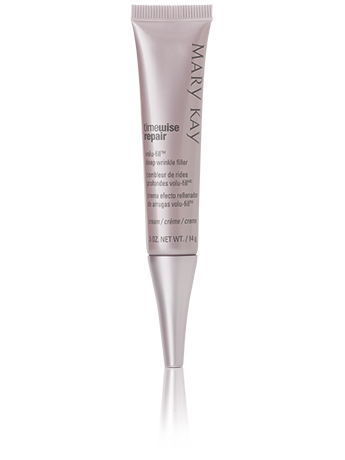 It is the perfect complement to the TimeWise Repair® age-fighting regimen. 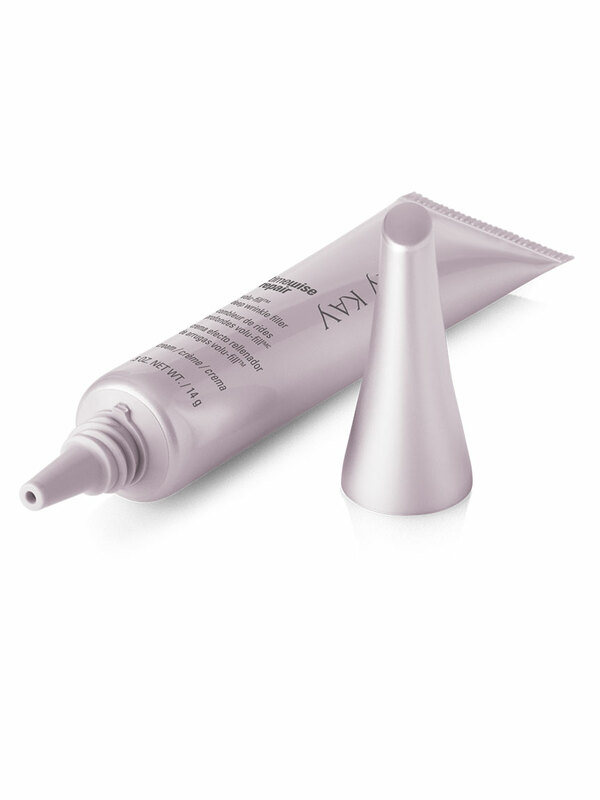 Using the precision applicator, apply the cream directly to wrinkles and gently pat in place with fingertips. Wait a few minutes before applying moisturizer. For daytime use, be sure to finish with a sunscreen product. While daily and effective sun protection is an essential part of any skin care program, it is especially critical when using a product that contains retinol. The formula was designed to disappear into skin without leaving a trace, so it’s perfect for all skin tones, from light to deep bronze. Deep wrinkles are targeted by retinol, helping to minimize their appearance over time. Retinol is an effective age-fighting ingredient that is highly recommended by leading dermatologists and skin care experts and has been proven effective in hundreds of studies. The retinol in TimeWise Repair® Volu-Fill® Deep Wrinkle Filler is encapsulated in microspheres that help protect the retinol’s effectiveness until applied directly to wrinkles. Encapsulated hyaluronic acid also acts as a moisture magnet, attracting skin moisture to help deep wrinkles look visibly plumped. While the TimeWise Repair® regimen targets the multiple signs of advanced skin aging, TimeWise Repair® Volu-Fill® Deep Wrinkle Filler has a single focus – to give deep wrinkles the extra attention they need. Deep wrinkle filler immediately fills in deep wrinkles. Encapsulated hyaluronic acid and flexible elastomers work together to effectively blur the appearance of wrinkles so you look more youthful. Flexible elastomers are special microscopic fibers that provide a foundation for the encapsulated hyaluronic acid so it can have the most dramatic effect. The key word is "flexible," so you don't have to worry about making facial expressions or having that frozen-face look. It visibly plumps the appearance of deep wrinkles. Encapsulated hyaluronic acid acts as a moisture magnet, attracting skin moisture to help deep wrinkles look visibly plumped. *Results based on assessment of improvement by an independent skin measurement expert after an eight-week independent clinical study in which 45 women used the product morning and night. We're proud of all of our products and are committed to offering you only the highest quality, most effective products. So we're very happy when others recognize our products and when our customers agree with us! Here are some of the awards and media mentions for this product. 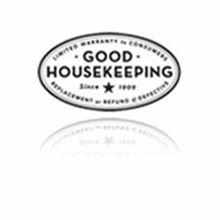 The TimeWise Repair® Volu-Fill® Deep Wrinkle Filler has earned the Good Housekeeping Seal after evaluation or review by the experts at the Good Housekeeping Research Institute. After an 8-week clinical study, this targeted cream was shown to have a significant impact on the appearance of all 6 wrinkle zones** making it the perfect complement to the TimeWise Repair® regimen. And that’s on top of the fact that 100% of women showed an improvement in the appearance of wrinkle severity* after using Volu-Fill® Deep Wrinkle Filler. *Results reflect bio-instrumentation measurement of wrinkle severity after an 8-week independent clinical study in which 31 women used the product morning and night. Wrinkle severity is defined as the visible length, width and number of deep wrinkles. **Results based on assessment of improvement by an independent skin measurement expert after an 8-weeek independent clinical study in which 45 women used the product morning and night. †Results reflect the percentage of women who agreed with the statements in a 3-week independent consumer study in which 228 women used the product morning and night.